I wish that I could LIKE the above photo MORE than once! When times are dark, don’t consider art to be merely a distraction; rather, think of it as a lifeline- Neil Gaiman paraphrase. Thanks, I had a heck of a time getting photos loaded. That's a photo from 2010... but I still have those statues in that curio. 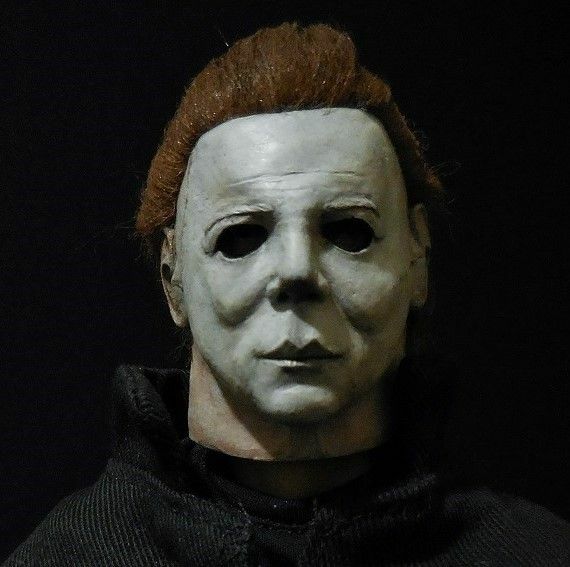 Randy Bowen did some great comic accurate work on his sculpts. 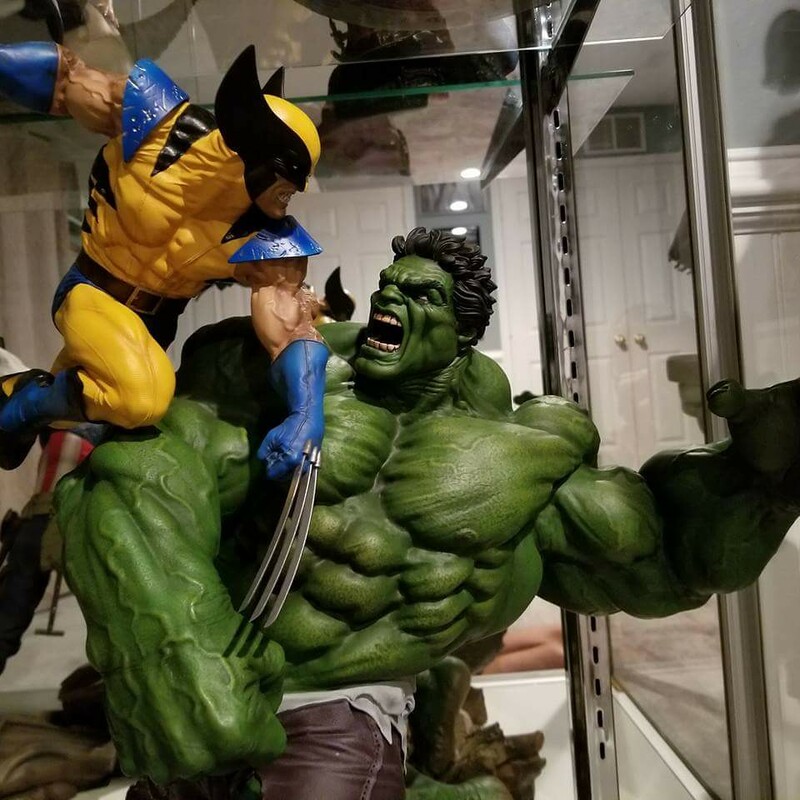 Hulk Vs Wolverine Maquette from Sideshow Collectibles. This thing is a beast, it's easily the heaviest statue I own. 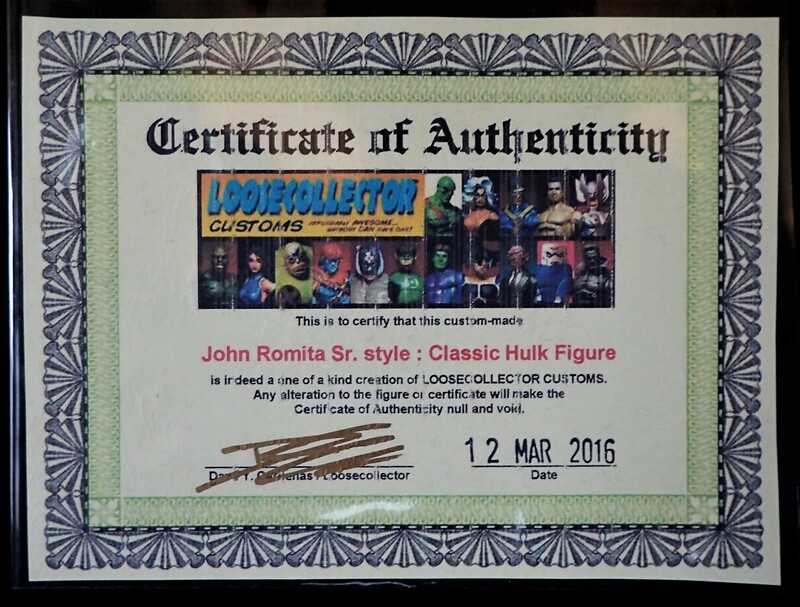 While it's 1:5 scale in size it's actually bigger in size than most of my 1:4 scale Premium format figures. 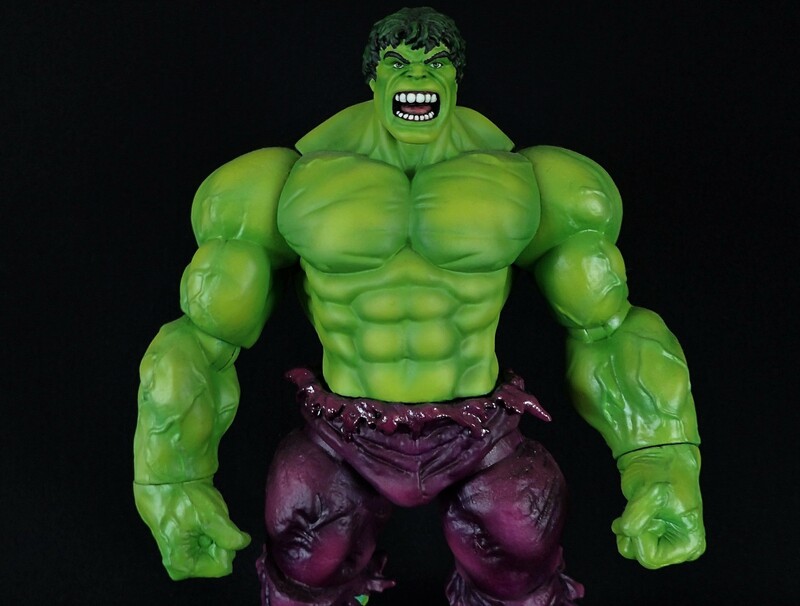 I actually prefer the sculpt on this piece over the other Sideshow Hulk statues. 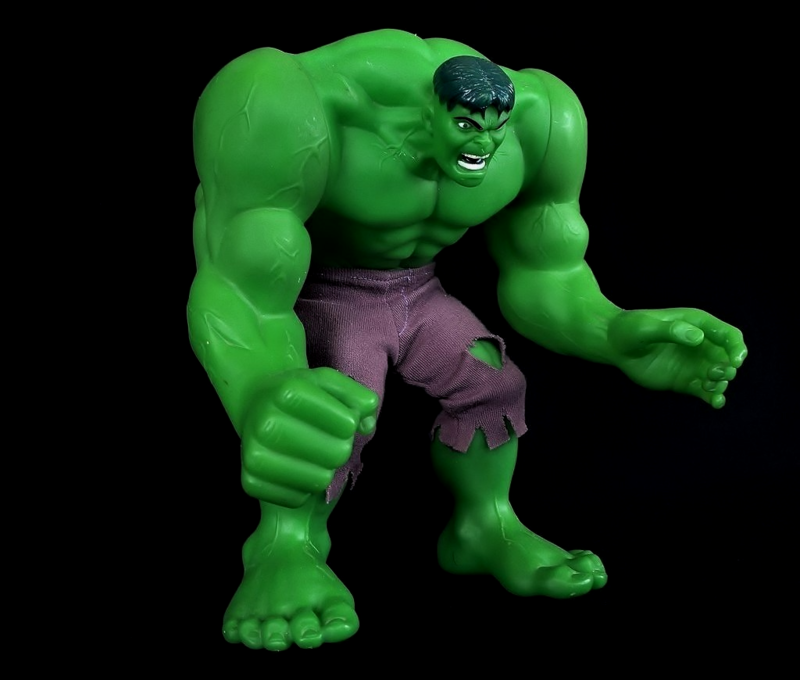 I hate the modern looking Hulk sculpts and Kirby's "ape" looking Hulk is overrated to me. Give me the savage Hulk anyday. 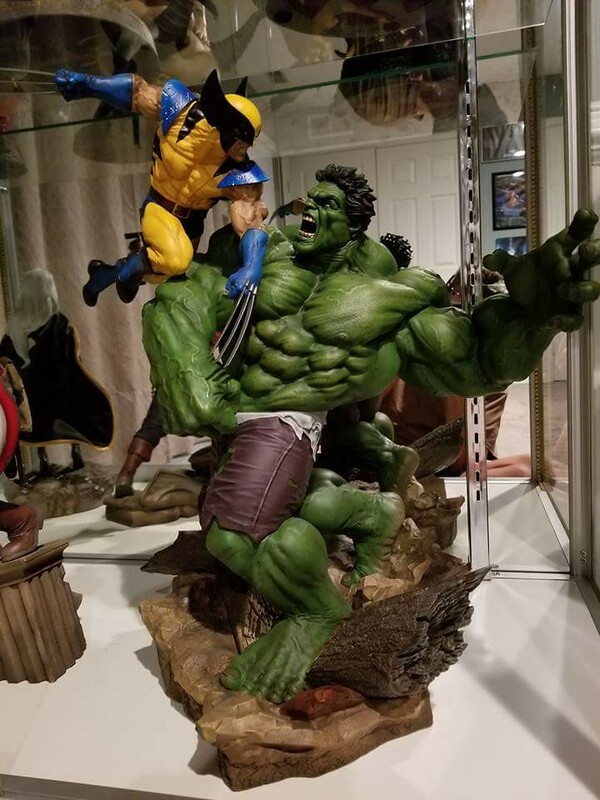 This Hulk vs Wolverine statue is one of the best Hulk statues ever made. 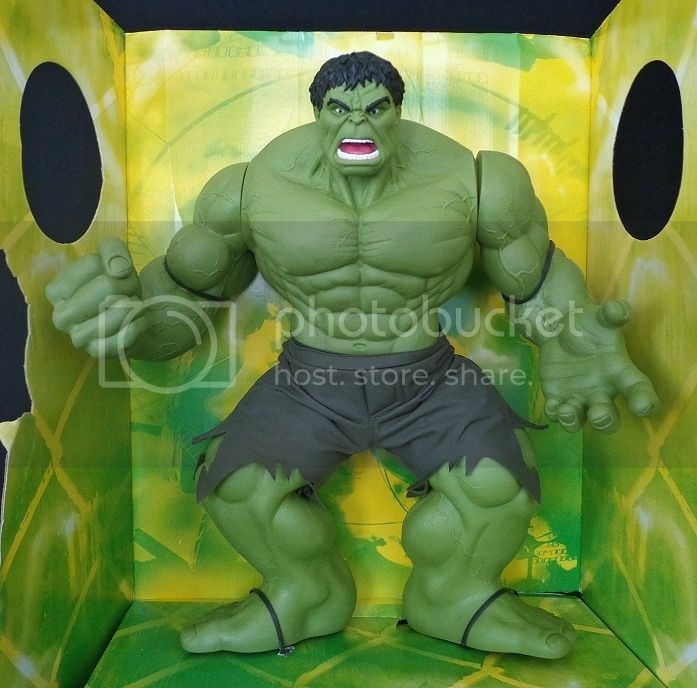 Really portrays the strength and rage of the Hulk. I'm glad I picked it up though. The pics don't do it justice. This figure was made by Applause around 20 years ago. It is 10 inches tall. 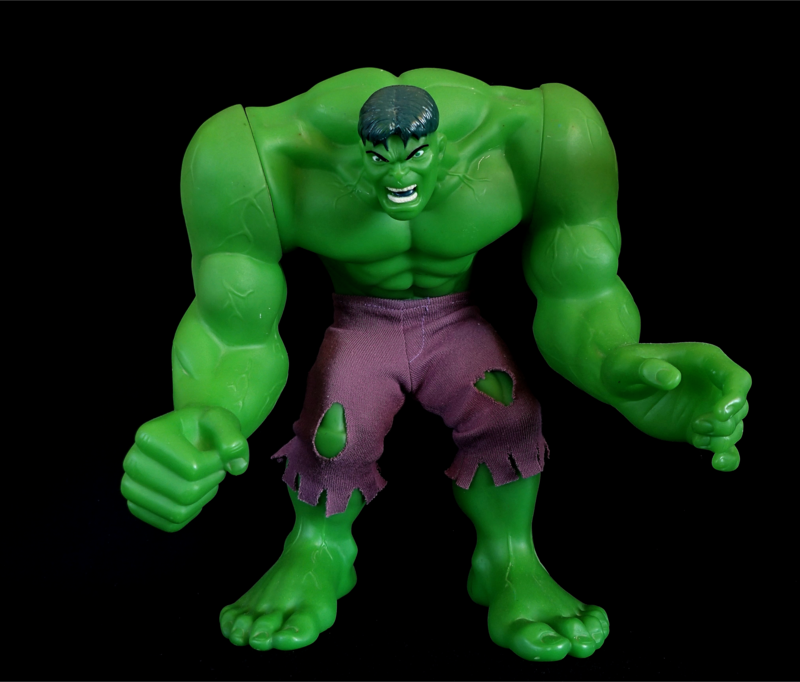 A hulking Hulk of a figure. Made of vinyl or a vinyl like material. Pants are cloth. 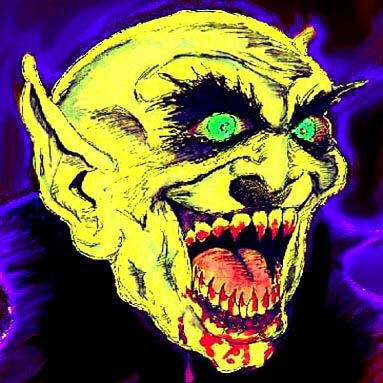 I bought a copy of this off-the-rack in the '70s but foolishly sold most of my Treasuries years ago. Now I'm gradually reclaiming them. This Hulk issue is a fave. 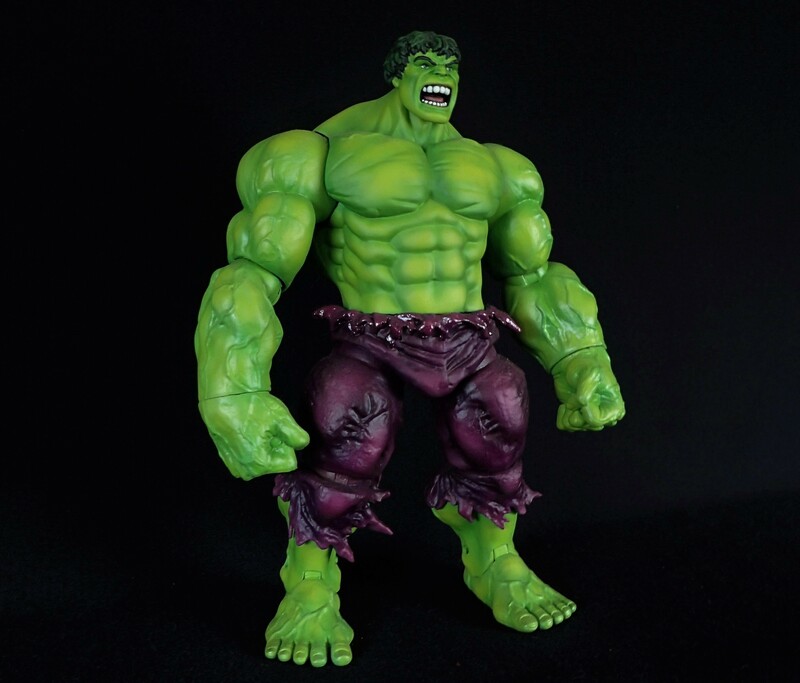 Romita style Classic Hulk custom. 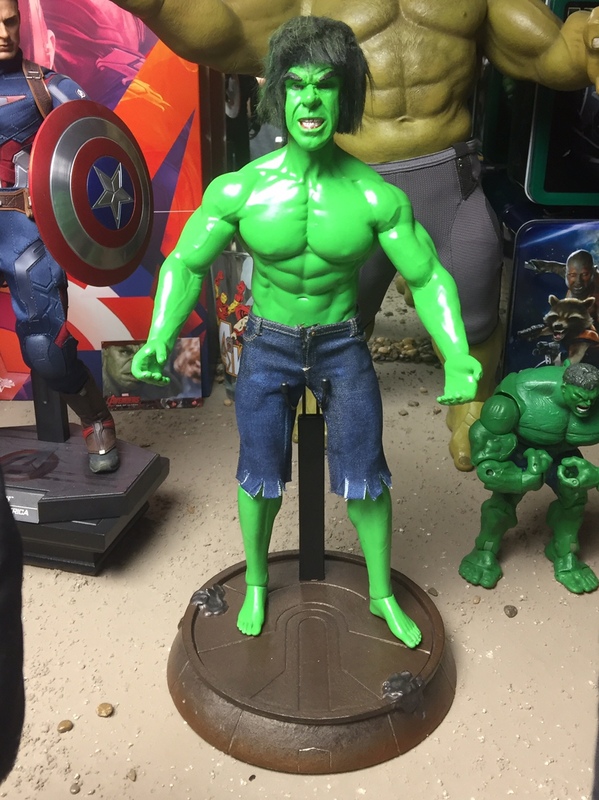 One of the best custom Hulks in my collection. That's awesome. 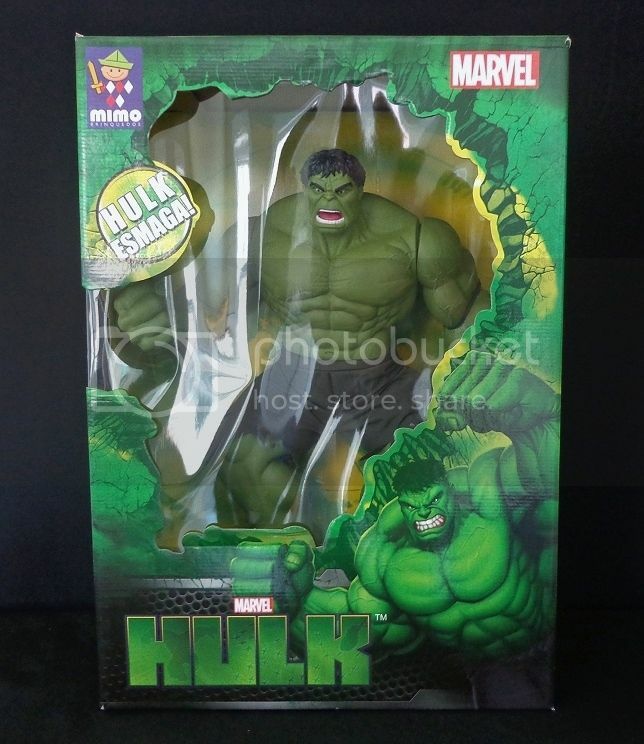 That is the look that will always be the true Hulk to me. 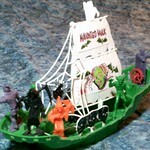 There seems to be many great Hulk items that came out in 1978. 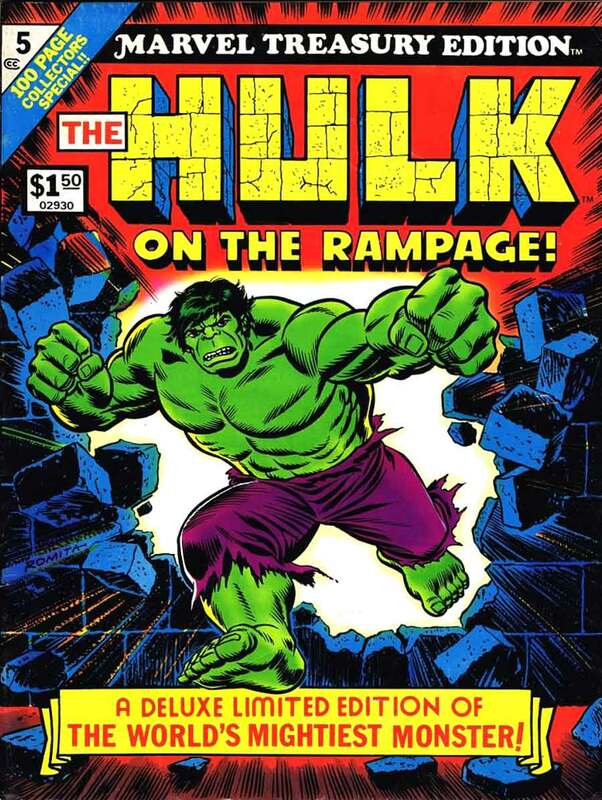 Seems like the Sal Buscema version of the Hulk was very marketable. This thread has taken off in a big way. So, let's keep that going. 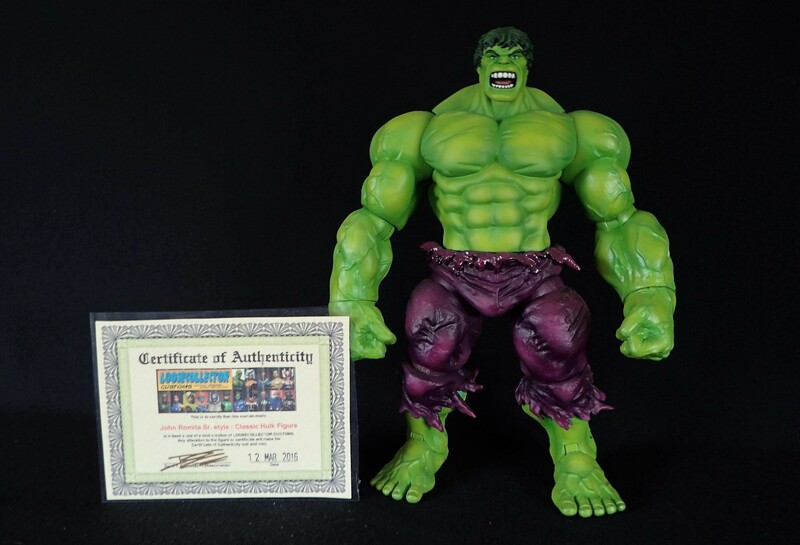 This is the largest Hulk action figure ever made. It is extremely rare. I believe it was made in Brazil. 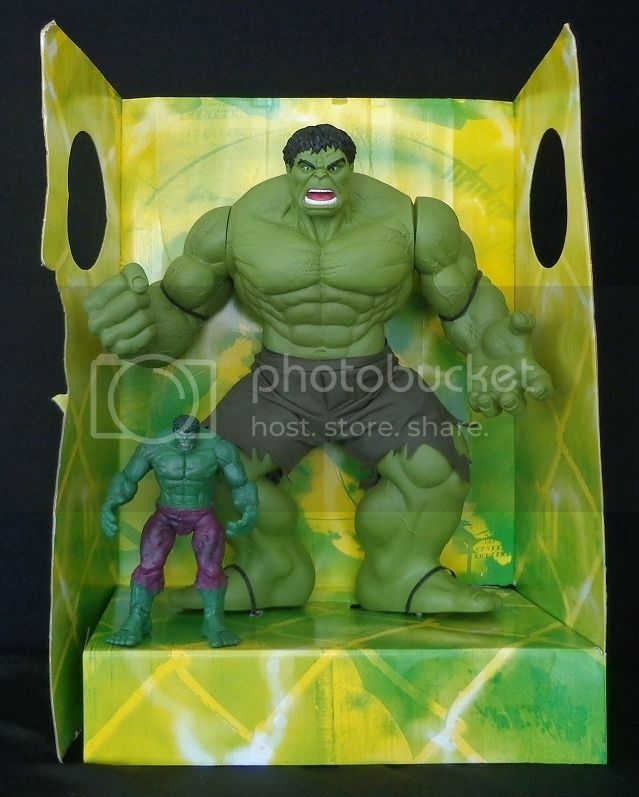 There are 3 different Hulks that I know of in this scale. I believe all were made by the same company. None were made or produced in the US. 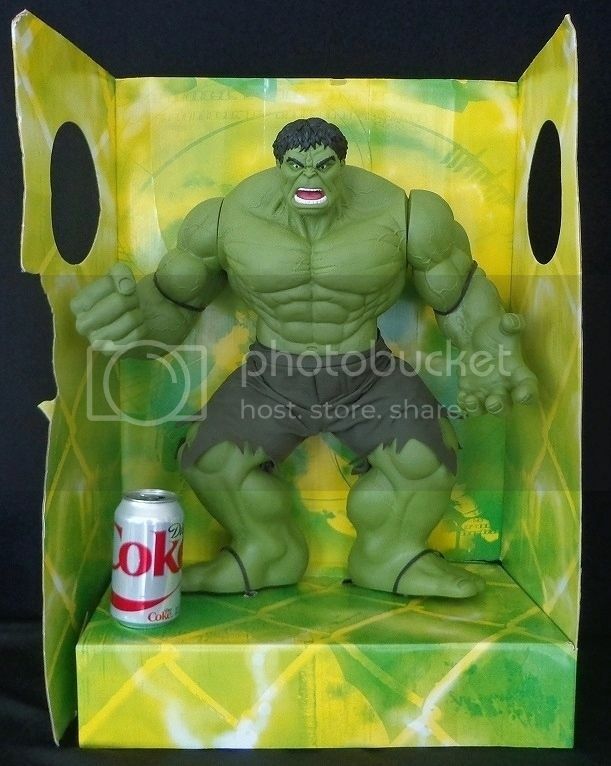 I included the Face Off 8 inch Hulk figure and a coke can in the pics for a size reference. Wow!! 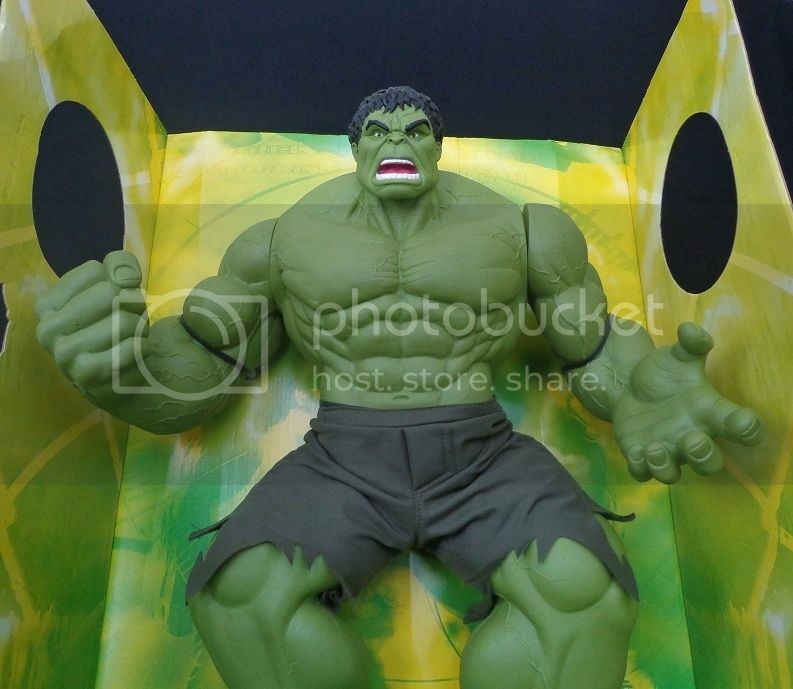 going through this thread and could not take my eye off of this, i am very huge fun of the hulk!! Awesome! Tha face and hair look amazing!